The “sabbatical” that former Rockstar North president Leslie Benzies was on has proven to be far more complicated than it first appeared. Benzies paints a more complicated story. 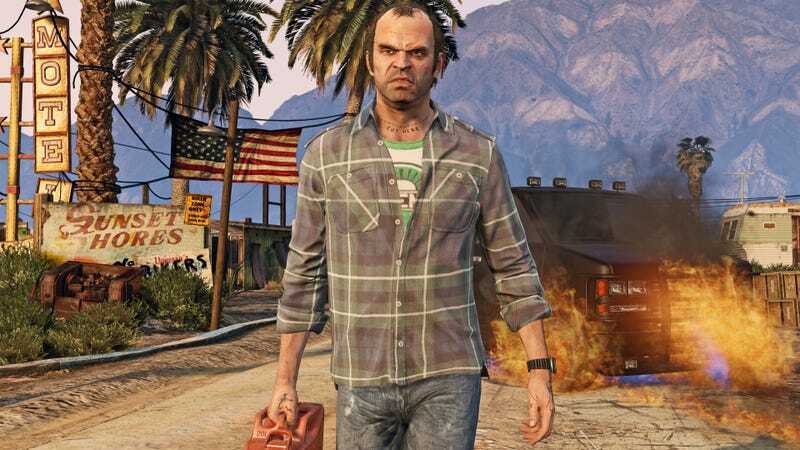 In a press release announcing a lawsuit against his former employer, Benzies claims he was “enticed by Rockstar” to take a sabbatical after the launch of Grand Theft Auto V. During that time, he reportedly discovered “numerous deceptions” designed to push him out of the company and deny him royalty payments to the tune of $150 million. In December 2008, Rockstar parent company Take-Two Interactive announced long-term employment contracts and a “profit sharing arrangement” with Benzies and Rockstar co-founders Dan and Sam Houser. “This new chapter in our successful relationship further aligns the interests of our creative teams with those of our shareholders,” said Take-Two chairman Strauss Zelnick at the time. Since Benzies filed his lawsuit, Rockstar has countersued, claiming Benzies isn’t owed any additional money, due to breach of contract. On March 23, 2015, Rockstar says Benzies sent a letter to the company asking for “exact financial parity with his co-Principals, prospectively and retroactively as of the Effective Date of the 2009 Royalty Plan.” In other words, he wanted to be on equal financial footing with the Housers. On April 2, Benzies reportedly sent another letter asserting termination of his employment for “good reason,” in which the employee argues the employer has negatively impacted the employee’s ability to do their job. Alternatively, Benzies argued he’d been fired “without cause,” arguing he was due a compensation package involving royalties, even if he left. Rockstar confirmed the group had been in mediation with Benzies, but negotiations were “unsuccessful” and disagreed with his “good reason” argument for leaving the company. Furthermore, Rockstar argued the royalty arrangement was such that Benzies was barred from even making the argument, as he had “no right to contest the royalty allocation” and even doing so was a “breach” of the plan he’d signed years ago. The only way Benzies could be awarded the royalties he’s asking for, claims Rockstar, is by a group called the Allocation Committee, which includes Houser. “Sam Houser would have the sole authority to determine what, if any, royalty percentage should be allocated to Benzies,” reads the suit. This lawsuit is a thorny situation, and it’s just getting started. We’ll be keeping an eye on it as it develops.